Don’t you want to grow? Don’t you want to be glad? I know I do…. and if we look for the light in Gods Holy King James word, we can see the light. Words, they may be skimmed over, or not even taken to heart, if you are in darkness, you might not see them. But if you take to heart what Christ said, that He is the light of the world, and you let His word, be a lamp unto your feet, and a light unto your path you could find that light to grow. THY WORD IS A LAMP UNTO MY FEET, AND A LIGHT UNTO MY PATH. PSALMS 119:105. KJV. I AM COME A LIGHT INTO THE WORLD, THAT WHOSOEVER BELIEVETH ON ME SHOULD NOT ABIDE IN DARKNESS. JOHN 12:46. KJV. I want to use the analogy of a flower, and how it needs light. Do you notice there are some plants, that thrive on light? If you put them in a dark place, they won’t grow. They won’t become the best they can be. They may even die. Sadly. Well there are instructions, to certain plants so they can grow. So they can thrive, and bloom, and become beautiful. To bring beauty, to express who God is, to shine…. Friends, let me just say this, God created, each and every one of us, to shine, for His glory. We need KJV instruction to grow. And if we are allowing darkness, to invade our spirits, whatever that may be. We will not grow. Evil movies, or even movies, that come in the name of the Lord, but they are not based on King James scriptures. They take the concept of God, and totally distort that. That brings darkness. To me, thats deception, and it comes from the enemy. To bring darkness. To confuse, to distort, what Father says, in His King James word. So I won’t watch them. THE LIGHT OF THE BODY IS THE EYE: IF THEREFORE THINE EYE BE SINGLE, THY WHOLE BODY SHALL BE FULL OF LIGHT. BUT IF THINE EYE BE EVIL, THY WHOLE BODY SHALL BE FULL OF DARKNESS. IF THEREFORE THE LIGHT, THAT IS IN THEE BE DARKNESS, HOW GREAT IS THAT DARKNESS! MATTHEW 6:22-23. KJV. We so have to guard our spirits. We so have to repent, for even doing something that may offend God in this. For they bring curses. They bring darkness. We live in this world, but friends, God has told us not to be a part of it. To be a part of it is to be an enemy of God. I just want to inspire you to seek light. Seek truth, seek the good, be the good, be light, as Christ is light. To others, and for yourself. To be glad, that above scripture in that photo, says so much. But how important is it for us to really sow light? How important is it for us, to try and be righteous? How important is it for us, to try and be upright in our hearts? When I read this, I see light is sown for gladness. I so want the joy and gladness, that only God can give? Don’t you? Just my thoughts today. In love, I want to inspire you. Let us stay away from sin, or anything else that brings darkness. This is why, again as well, that I warn you don’t use those corrupted bibles. For they have been compromised, changed, added to, and deleted. After God warned us. They are not light. They are not holy. They are part truth, and part lie. And if you look at them for light, you may see a counterfeit light. Seek the true light. This does affect us, And our discernment, our understanding, our sense of right and wrong, will be diminished if darkness is present. We must seek the light. We must, depart from anything that brings darkness. Even friends, folks…. there so much to this, concerning, the light….but this is why the world, is lost. This is why atheists are doomed for hell, because they refuse to see the light. Don’t be like them. THEN JESUS SAID UNTO THEM, YET A LITTLE WHILE IS THE LIGHT WITH YOU. WALK WHILE YE HAVE THE LIGHT, LEST DARKNESS COME UPON YOU: FOR HE THAT WALKETH IN DARKNESS KNOWETH NOT WHITHER HE GOETH. JOHN 12:35. KJV. Its the new year. And I want to encourage you this year, more then ever, to seek God. To learn His ways, to obey His commandments, to strive for excellence in your own life. To try and learn. To change old ways, to be so mindful of the times we are in. To make things right by the ways of Jesus. For He is the way, the truth and life. John 14:6. You may think, who is she to tell me these things? I am not a pastor, I don’t have a theology degree. I don’t have any great accomplishments, besides surviving. I am just a sinner saved by grace. But I do not take that grace for granted. I am just someone who knows His law. And studies it. I do not just take grace for granted. I do not want to just stay where I was. Or even where I am, when God is on the throne, and His ways are of excellence. Yesterday, I heard a pastor say, God loves you just the way you are. And yes God loves us so much that He sent Christ to die for our sins. But to stay where we are is an insult to what Christ did. But something rose up in my heart when I heard that pastor speak that. Things like family, or education, or even confidence did not come easy. I had to fight. Did you have to fight, when you were a kid, just to survive? I did. And then I had to fight to clear my conscience before God. I had to fight for that which was good, and holy, and to stop walking the fence. Between knowing there is a God, and knowing the ways of the world. Yes fight! A good fight of faith. Don’t stay where you were. Don’t trust these wolves in sheep clothing to lead you. Thats between you and Christ. To find that narrow path. It is a narrow path, its not easy. But you know whats harder, being dumb. Or being ignorant to truth, when God gives it to us. He gives us His truth, and commandments in our King James Bible. He says, that His people perish for lack of knowledge. Look it up in a King James. But my prayer is that more then anything that you would see the manifestation of Gods power in your own life. For His glory! But it is your responsibility to grow. To find out who you are in Christ. He has given you gifts, and callings that are just waiting to be tapped into. Favor, with people, with situations, but you don’t use it. Some of you, are so beautiful. So famous…. so blessed, and you use it for nothing. Or so it seems. How sad, it will be for many who will stand before God, and He will ask what did you do for my Kingdom? And they will not have anything to say. He says, He will tells us I never knew you. And that will include because we did not serve Him. I don’t want to be one of those. I may just be some girl from the West side of Denver, Colorado. But I know who my father is. I know what Christ did for me on that cross. I know the voice of the Holy spirit, and I will not follow another. And I will, with all my being especially now as this year starts, I will try and learn and speak His truth. Express it, write it, say it, and give my God glory. Where ever He says go, I must go. If he says go. He has not for a long time…But I will still press on. I will not be ashamed of the gospel. For it saved me. I will try and learn His ways, and tell others. Because tomorrow is not promised to any one. Please don’t take your spiritual salvation, and learning for granted. Get a good King James bible, and yes throw those corrupt bibles away. They are not holy. They are not the voice of our Lord. Step out do something new for yourself and God, your savior the Lord Jesus, don’t stay where you are. Yes God loves you the way you are. He doesn’t like it, when you don’t grow. When you don’t tell others about Him. Don’t stay where you are. 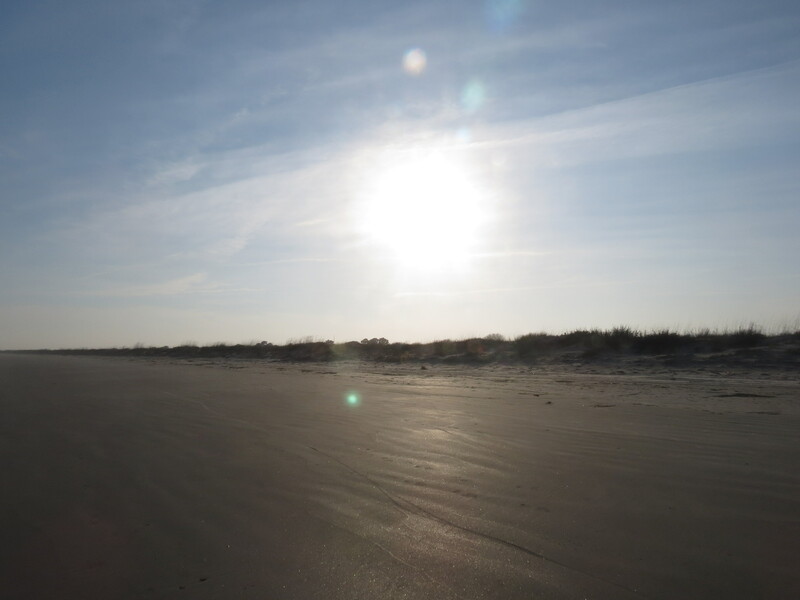 Step out…. This scripture below scares me in fear of God. Because He gives us chances…..
Don’t throw away your chance. AND I WILL MAKE THEE LIKE THE TOP OF A ROCK: THOU SHALT BE A PLACE TO SPREAD NETS UPON: THOU SHALT BE BUILT NO MORE: FOR I THE LORD HAVE SPOKEN IT, SAITH THE LORD GOD. EZEKIEL 26:14. KJV. I believe, we are in end times. I really do. I believe, Christ could return at any time. No one knows for sure. In fact Christ told us, only God the father knows that time, and date. But prophecy is being revealed more, and more. I believe, by the prompting of the Holy Spirit, God wants you to pray for discernment. I know I am, more then ever. Times are demanding it. Things are changing in the spirit realm, and even in the world we live in. No more sloppy agape, no more, spoon food junk food, and no more laziness for lack of a better word. I am concerned for the body of Christ. I am concerned for well-meaning Christians, but they lack discernment, or even understanding of Gods truth. This could be contributed by a lot of things, maybe they are not using a good King James Bible. One that has been corrupted by publishers. Word that has been changed, added, or deleted, and they may be believing the lie of that word, for it is no longer whole, or holy, or anointed. Changed. Part of the enemies plan to deceive. For we are warned, in Revelation 22:18-19 not to do that! Read it yourself from a King James Bible. But know this scripture…..but not if it is changed…..
FOR THE WORD OF GOD IS QUICK, AND POWERFUL, AND SHARPER THAN ANY TWOEDGED SWORD, PIERCING EVEN TO THE DIVIDING ASUNDER OF SOUL AND SPIRIT, AND OF THE JOINTS AND MARROW, AND IS A DISCERNER OF THE THOUGHTS AND INTENTS OF THE HEART. HEBREWS 4:12. Maybe they have been taught bad doctrine, maybe they don’t even open up any kind of Bible, but I am seeing a lot of Christians, who just are not seeing the “signals” or know the difference between good and evil. I see many Christians, many well meaning Christians, distorting the word of God. Twisting it, and trying to change it, to fit an ideology that goes totally against God. I see Christians, defending, and actually believing things that are on the wrong side, so to speak. They are passionate, and pull up swords to even fight other sisters and brothers in Christ. To defend these lies. But their swords are rubber swords. Yes, I believe we are in end times, and we see prominent pastors, who are leading the sheep to destruction. Things that do not bless the soul. The prosperity message, has taken so many down the wrong road, just to have someone lead this kind of message, is not a message of Salvation, and truth, but of lies, and greed. We cannot have true prosperity if our souls, are headed for hell. THEN SHALL YE RETURN, AND DISCERN BETWEEN THE RIGHTEOUS AND THE WICKED, BETWEEN HIM THAT SERVETH GOD AND HIM THAT SERVETH HIM NOT. MALACHI 3:18. I see, people who again, do not have fear of God, to know their salvation could be lost. And they actually say, their sin is covered, from the past, the future into the present. With no sense of repentance, or humbleness to be careful not to offend God. Knowing from scripture, one can be “blotted” out of the Lambs book of life. That is a key word. Do your own research from a King James. Read Ezekiel 33, where God speaks and tells us, that our righteousness, can be forgotten, if we sin. The wages of sin is death. Yes Christ came to give life, but if we break the covenant, its like insurance, it is null and void! God does not lie, but people do. They are the ones who break the covenant but God lets them. It is a choice!!! And many are choosing wrong. I see people, following leaders again, to unite them in one religion. They don’t see, that doctrine does not match. They don’t see the deception of what is not said, by some of these leaders, because they don’t know Gods truth. But this is what should be taught….AND THEY SHALL TEACH MY PEOPLE THE DIFFERENCE BETWEEN THE HOLY AND PROFANE AND CAUSE THEM TO DISCERN BETWEEN THE UNCLEAN AND THE CLEAN. EZEKIEL 44:23. We are in some strange times to say the least. Love, is not evident with many. I have seen so many pharisee spirits, that with the law, will hit you on the head. Mercy, and compassion, and an extension of love, is not evident with many people. Hearts are hard. Ears are closed, mouths are silent. Eyes turn the other way, because they don’t want to judge. We are called to try the spirits. People are not listening to God, and they are believing a lie. I am concerned, I am aware, of how the enemy deceives people, and they are listening to this lie. At this time, many Christians should be light, but instead their light, has switched back to darkness. Christ is the light of the world. Many yes, are so hungry for Christ, but they do not see, that He came to fulfill the law, not abolish it. They do not see, how precious salvation is. For the life Christ gave, for us, was of great pain, and sorrow, to take the penalty of our sins. FOR HE THAT EATETH AND DRINKETH UNWORTHILY, EATETH AND DRINKETH DAMNATION TO HIMSELF, NOT DISCERNING THE LORDS BODY. I Corinthians 11:29. There is such a rise against freedom of expression in who Christ is, and Christianity, and yet, others are accepting, and believing the lies of religions, that are not of love. Yet some of them say, they come in the name of the Lord. BUT THE NATURAL MAN RECEIVETH NOT THE THINGS OF THE SPIRIT OF GOD: FOR THEY ARE FOOLISHNESS UNTO HIM: NEITHER CAN HE KNOW THEM, BECAUSE THEY ARE SPIRITUALLY DISCERNED. I CORINTHIANS 2:14. But they are not of truth, not of just one God, and the God, of Abraham, Jacob and Issac. The God who created the heaven and earth. The God who is not mocked. The God, who can send a soul to hell. The God who is able to make miracles, and nothing is impossible with the true Holy God. But He has His demands. He has His way, and His way, is not always ours! We need to know what He says, and expects, and yes in fear of God. Each one of us! Open your eyes! Your own Salvation could be lost if you do not heed His truth! I ask you to pray for discernment. I ask you to bow before God, humble, and repent, if you have perhaps missed it. Repenting daily, keeps the soul clean. 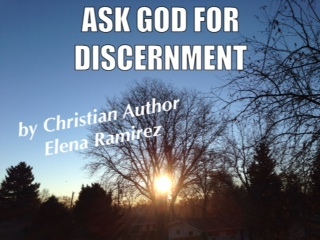 It is good, to come before God, and even if you think you are right, ask God for discernment. True wisdom. I really believe we need it more then ever. Times are calling for it. Souls, can be lost. We never want Christ to tell us, I knew you not. Please pray, for discernment. And pray for others too. I could use some prayers myself. I am not perfect, far from it. I make mistakes. But I know how to repent, and I know how to ask others to forgive me. I will not hold onto pride, and lose any discernment. I value my discernment. But I do with the fear of God, and with every bit of my being. I will take it to the obedience of Christ. I will not compromise who I am in Christ. I am more adamant then ever. Because I know God the father. I love Him, and thank Him, and praise Him, but I try to do in His way, not mine. I thank Christ, for my salvation. For His great gift, that took my name off of the register of hell. And I thank His Holy Spirit, that prompts me at a moments notice. And I listen, with discernment! And I pray you do as well. GIVE THEREFORE THY SERVANT AN UNDERSTANDING HEART TO JUDGE THY PEOPLE, THAT I MAY DISCERN BETWEEN GOOD AND BAD: FOR WHO IS ABLE TO JUDGE THIS THY SO GREAT A PEOPLE? I KINGS 3:9.